Life for most people is becoming more complicated, resulting in increased pressure on all the world's natural resources. Land is a key resource without which humankind cannot survive and is an essential component for the creation of wealth. In recent years we have witnessed an unprecedented growth in the world's population and a general move towards urbanisation, especially in developing countries and countries with economies in transition where access to land is becoming increasingly difficult. If we are to improve the quality of life of all living species, especially human beings, then we must find more efficient and effective ways of managing this valuable resource. To achieve this objective we must understand much more about land, its nature, value, use and the rights that exist to exploit it. In other words, we need to radically improve the ways in which we collect, manage and use land information. Although every country has a different history and culture, there is much that we can learn from each other. Hence FIG set up a working group under its Commission 3, with the support of UN-HABITAT, to identify and document lessons that can be learned from the mistakes and successes of others in Land Information Management for Sustainable Development of Cities; with a focus initially on developing countries and countries with economies in transition. This report describes the initial findings of the Commission's task force. It offers no single way forward that is best for all countries. It does, however, suggest that there are good practices that all would be wise to study. All those who are concerned with the administration of our most precious resource should note the contents and adapt the underlying ideas. One of the objectives of FIG Commission 3, Spatial Information Management, is to promote the importance of spatial information management for sustainable development. Working Group 3 of Commission 3, consisting of the following co-authors of this paper, has been entrusted with this task. The Working Group is assisting UN-HABITAT in the enlargement of their best practices database and of its learning and technical co-operation tools with good practices, policies and enabling legislation in LIM and wishes to acknowledge UN-HABITAT for this co-operation. The Working Group would also like to thank Emeritus Prof. Peter Dale, Honorary President of FIG, and Mike Traynor of the Registers of Scotland for their participation in shaping the focus of this document. City Governments are entrusted with the stewardship of land to ensure that it is equitably exploited amongst a diverse set of users without compromising the ability of future generations to meet their own needs for land. Decisions to support the sustainable development of this land, as a valuable and finite resource, merit an holistic approach to impact assessment. Many aspects and options need to be explored to arrive at an appropriate, objective decision. This can only be achieved if the decision makers, both city officials and citizens, have access to consistent and integrated information about land. A key element in providing this relevant land information is City-wide Land Information Management (LIM), the institutional and technical arrangements whereby information about all land and real property within a city are administered. Cities currently manage considerable collections of land related information. However, the traditional separation of this information into different component themes (see Figure 1 below), combined with disjoint information management regimes, leads to a considerable loss in the value of the information as a resource. City-wide LIM provides the means to technically and institutionally integrate these component themes of land information into a truly corporate information resource. 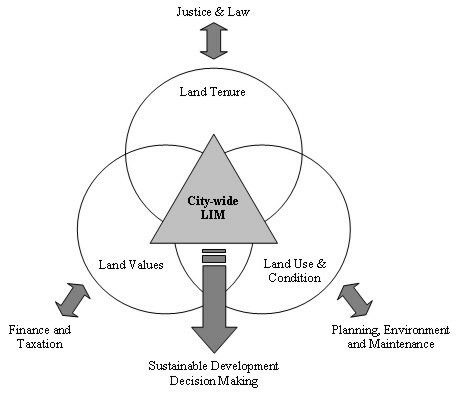 Figure 1 (adapted from Dale & McLaughlin, 1999) below illustrates how City-wide LIM can add value by combining information concerning use, condition, value and tenure of land and disseminating this to the decision makers. This set of guidelines has been developed through a partnership between FIG Commission 3 and UN-HABITAT and provides best practice in formulating, marketing and implementing City-wide LIM to support sustainable development in cities. The document is aimed at senior managers within city organisations, aid agencies and consultants involved in managing or advising on land information. Although primarily targeted at cities in developing countries and countries with economies in transition, the lessons learned are applicable to all cities. The following 10 commandments have been distilled from the extensive best practice guidelines and serve as an essential guide to successfully implementing a City-wide LIM and are applicable to all cities, independent of status, location and affluence. 1. Understand the vision of sustainable development - ensure that all stakeholders in the management of land understand sustainable development principles and the role of City-wide LIM in supporting more effective decision making through the provision of integrated land information. 2. Appoint a Single Responsible Officer - City-wide LIM involves considerable inter-departmental co-operation. This will only work if there is a Single Responsible Officer with clear authority for delivering City-wide LIM. 3. Clarify the role of each stakeholder in implementing the common City-wide LIM vision - all stakeholders, at the political, service delivery and citizen levels, must fully understand their roles and responsibilities in implementing their component parts of the common City-wide LIM vision. 4. Obtain political support - success is dependent on political backing. Short 'proof of concept' projects aligned with current political issues and an effective communication strategy will secure support at the highest level within the city. 5. Comply with national land policy - the City-wide LIM must operate within, and effectively support, the corresponding national legal, institutional and fiscal frameworks. 6. Implement good governance of LIM - manage information as a resource just like as human and financial resources. Good governance of LIM will inextricably lead to good governance of land. 7. Ensure that the implementation is business / user led - the priorities for implementing a City-wide LIM must be led by real business / user needs and deliver clear benefits to the city (improved decision making and efficiencies) and to citizens (engaging them in decision making). 8. Prepare an information inventory - an analysis of business requirements for a City-wide LIM will identify information needs. A subsequent inventory of existing and missing information will form the basis for planning a City-wide LIM, clearly identifying standards, procedures and custodians for information management. 10. Ensure that there is continuing investment - City-wide LIM is an on-going programme requiring continuing investment to renew and improve technology and resources and to continually maintain information. Commission 3 of FIG and UN-HABITAT are co-operating on the subject of how Land Information Management (LIM) can contribute to the sustainable development of cities. Sustainable development is that which meets the needs of the present without compromising the ability of future generations to meet their own needs. To be able to determine how these two organisations can best meet each other's objectives it is helpful to go into the objectives of each organisation. If successful, this campaign will have the most profound and far-reaching impact on the long-term sustainability of human settlements (urban and rural). There is a mountain of evidence that has demonstrated that the granting of secure tenure is the single most important catalyst in the mobilising of individual investment in the locality. The insecurity of tenure is, likewise, often associated with the marginalisation of individuals and communities, to a concomitant lack of investment, and as a contributory factor to petty criminality and challenges to urban governance generally. The secure tenure campaign is based on equality, and ensures that tenure be allocated to women on an equal basis with men. The complex and intractable nature of this problem requires a medium to long term perspective, and the initial duration of the Campaign will not be less than ten years. This campaign is aimed at securing strategic partnerships with the global association of local authorities, WACLAC, parliamentarians, NGOs, etc. City-wide LIM will aid in the formulation and introduction of secure tenure to underpin lasting and equitable solutions to resolving homelessness and as a pre-condition for improving slums and integrating squatter settlements. Good governance can be defined by how well a population, its representatives and agents identify and deal with major social, economic and environmental issues that stand in the way of an improved quality of life for all its citizens over time. In this regard, UN-HABITAT is actively promoting the concept and benefits of an active urban citizenry, based on the realisation that a responsible participatory citizenship is one of the key elements to successful city management and the elaboration of inclusive developmental strategies. City-wide LIM will support the improvement of transparency, accountability and responsiveness of urban planning and management and strengthen institutional capacity to improve quality of life and more sustainable forms of urban development. The main mandate of Housing Policy is to support the world-wide implementation of the Habitat Agenda, with specific focus on one of its two main goals: "adequate shelter for all". For this purpose, Housing Policy works towards improving access to shelter for the world's poor and other vulnerable groups, particularly in developing countries and countries with economies in transition. Within this broad mandate the activities of the Housing Policy Section focuses on three areas, namely: housing policies and programmes; housing rights; and building materials and construction technologies. The work is undertaken in support of the Global Campaign for Secure Tenure, and the activities of the Section focus on the needs and promotion of participatory approaches that can involve and mobilise the aspirations and capacities of the poor, other vulnerable groups and people with special needs. City-wide LIM will support the progressive realisation of housing as a human right through the resolution of issues of land tenure and rights. The urban challenge of this decade is to create the conditions for reducing poverty: employment opportunities, improved access to basic services, legal and social protection and financial services. Cities and towns now form the front line of globalisation and development in this, the Urban Millennium. Within a generation the majority of the developing world's population will live in cities and towns, while the number of urban residents in developing countries will increase by 2.5 billion, the current urban population of the entire world. This programme has two main activities: slum upgrading, holding up a vision of Cities Without Slums, with a target of improving the lives of 100 million slum dwellers by the year 2020; and City Development Strategies, promoting inclusive and participatory approaches to urban development and sound urban governance. The ultimate aim of this strategy is to promote sustainable cities and towns that fulfil the promise of development for all of their inhabitants - in particular, by strengthening the rights and improving the lives of the poor - while contributing to the progress of the country as a whole. City-wide LIM will support the participation of the urban poor in decisions affecting their livelihood in forging more healthy, just and equitable settlements. its unique platform for the wide dissemination of information. It is the conviction of FIG that good decision-making for sustainable development is heavily dependent on reliable and relevant information, and to a very large extent on information that is geographically referenced. Good information reduces risk. The need for geographic information arises at all levels of government, from senior decision-makers to the grass-roots and individual levels. Considerable amounts of data exist, but access to these is often hampered by a lack of standardisation, coherence and adequate services for data retrieval. There is a deficiency of information about what data exist, its quality and where data are kept. to promote the sharing of geographic data and to help bring about integrated approaches to planning and management of land. One of the objectives of commission 3, Spatial Information Management, is to promote the importance of spatial information management for sustainable development. Working group 3 of commission 3, consisting of the co-writers of this paper, has been entrusted with this task. The objective of this co-operation is to support the implementation of the UN-HABITAT agenda through the increased use of City-wide LIM in the implementation of UN-HABITAT's ongoing programmes and campaigns. The systematic sharing and exchange of knowledge, expertise and experience in City-wide LIM will be achieved through the extension of the UN-HABITAT Best Practices and Local Leadership Programme and of its learning and technical co-operation tools with good practices, policies and enabling legislation in LIM. A considerable amount of geographical information is produced in the implementation of sector projects. Projects for road construction, city planning, land titling and environmental issues will all produce necessary information and there will undoubtedly be good examples of efficient production of geographic information. The best practices we are looking for have a City-wide approach to geographic information because we believe that this approach will in the long run be more sustainable and efficient. In what follows, we use the term 'City-wide LIM' to refer to the centralised management of spatial information that is needed to achieve sustainable development throughout a city. As such it includes the policies, organisational remits, data, technologies, standards, delivery mechanisms and financial and human resources that are relevant to the land information management of a city. Elements of these processes may be devolved to different agencies within the city - in both the public and private sectors. The key to City-wide LIM is that all these elements come together into a coherent and homogeneous whole. In so doing they should conform to national standards and norms and be capable of being integrated into the total national picture. The primary objective of UN-HABITAT is to improve human settlements in both urban and rural areas. However, a priority focus is placed on cities owing to rapid urbanisation, the increasing concentration of poverty and social exclusion in urban areas and the critical role and potential contribution of cities in dealing with critical social, economic and environmental issues. Developing countries have major issues to be addressed with respect to national spatial data infrastructure (NSDI). NSDI should first and foremost be of relevance to local governments. They are the sphere of government closest to the people and most directly concerned with and affected by land use planning and management. They are also directly concerned by the benefits that accrue from effective and efficient land-based taxation and revenues. They should therefore be involved in both the inception and use of NSDI and in providing feedback to national urban and land policies and legislation. The enlargement of the best practices database and of its learning and technical co-operation tools with good practices, policies and enabling legislation in LIM. Although not representative of all City-wide LIM implementations in developing countries and countries with economies in transition, the following scenario is both typical of many examples from developing countries and countries with economies in transition and still prevalent in many developed countries. The drive for investment in LIM is technology-led with technologists rather than management being the evangelists. There is no corporate vision of City-wide LIM and how it can effectively support the planning and delivery of services. Hence there is no strategic framework to guide and integrate aid programmes and investment in City-wide LIM. LIM-based projects are fragmented with minimal co-ordination amongst the stakeholders and any associated aid agencies. The skills and experiences of city staff are limited, necessitating the dependence upon external consultants to keep the projects operational. The projects are therefore not sustainable. Any staff that are well trained leave for the private sector because of a lack of a career path and poor pay within the city. There is no local technical support for the corresponding hardware, software and networks for LIM. Data are produced in a one-off process to support a project. The data are not maintained or shared to the benefit of other possible users. The same data are captured several times with slightly different specifications leading to significant extra cost and inefficiencies. The benefits of any investment in land information are diluted. Only specialist, technical staff have access to land information. As a consequence, land information is not accessible by the city officials or citizens, leading to many decisions being made in a spatial vacuum. The net effect of this approach is that land information is not used to support sustainable development of the city and hence will jeopardise sustainability. Cities currently manage considerable collections of land related information. However, the traditional separation of this information into different component themes (see Figure 2 below), combined with disjoint information management regimes, leads to a considerable loss in the value of the information as a resource. City-wide LIM provides the means to technically and institutionally integrate these component themes of land information into a truly corporate information resource. 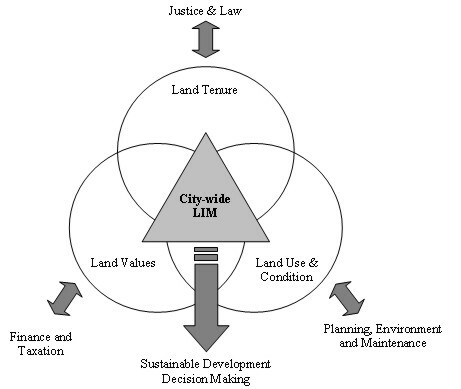 Figure 2 (adapted from Dale & McLaughlin, 1999) below illustrates how City-wide LIM can add value by combining information concerning use, condition, value and tenure of land and disseminating this to the decision makers. City-wide LIM solutions cannot be implemented in isolation and must operate within, and effectively support, the corresponding national legal, institutional and fiscal frameworks. For example, if cities are directly involved in maintaining large scale topographic and cadastral mapping then their products must fit into the national framework for mapping of the country. Similarly, local land and property taxation must be compliant with national fiscal policies. This compliance with national information management policies, e.g. use of common data standards, will ensure that there is effective regional and national LIM, with a vertical information highway being developed to ensure local land information can be aggregated to underpin regional and national (and global) views of land information. This is a macro view of City-wide LIM. The core data required to support the city's business and to measure performance should be identified. The focus should be on maintaining these core data and the temptation to waste time on "desirable" rather than "essential" information should be avoided. There should be one source for each piece of core data. This source should be known and communicated to everyone who might want to use those data. Replication of core data across systems should be forbidden. Common data definitions / standards should be adopted and enforced across the city's departments. This will avoid similar, but not identical, bits of data being spread out across disparate systems. Where relevant, national and international standards should be adopted. The custodians for core data should be clearly identified. Custodians are stakeholders within the organisation who rely upon particular pieces of data for their day-to-day operations. It should be their responsibility to collect and manage the core data assigned to their custodianship. This responsibility should be backed up with service level agreements with users of this core data. A service level agreement is a contract in which an agency agrees to supply data to predetermined standards and at a fixed price. The responsibility for keeping data up-to-date must be clear. Where data are provided by contractors (by outsourcing), the responsibility to maintain core data may be placed on them. Alternatively the data may be kept up to date using internal resources. Whichever route is chosen, the responsibilities of all parties should be documented clearly and the processes of updating the data implemented. Where appropriate the best commercially available solutions should be applied to avoid costly city-specific solutions being commissioned. The connections between the variety of systems used by different parts of the organisation should adhere to an agreed framework. Providing the appropriate connectivity enables the LIM and business processes to operate efficiently. There is a corporate strategic framework that includes the elements illustrated in the layered diagram in Figure 3. A Single Responsible Officer fully accountable for the strategy and implementation of a City-wide LIM approach is clearly identified and publicised throughout the city. A set of corporate land information data standards is agreed and endorsed amongst all stakeholders. Dataset custodians are appointed and data management plans agreed through service level agreements to ensure that data are maintained to an agreed quality threshold. Robust business cases underpin all planned investments in LIM. Revenue budgets are in place to support effective data maintenance, the updating of technology (hardware and software) and human resource development. A metadatabase allows stakeholders to explore and share existing sources of land information, minimising any duplication of effort. All staff involved in LIM are an integral part of the Human Resource Management strategy and have a well defined career path. A corporate steering group is operational to oversee the City-wide LIM strategy and this steering group liaises with aid organisations and data users. Web based, desktop access to land information is available across the city's organisations at all levels of decision-making. Citizens are provided with access, through appropriate channels, to land information to support service delivery and participatory democracy. This chapter contains the reference framework that was used by the working group to identify best practices in City-wide LIM. It is a summary of the critical issues and possible obstacles that have to be addressed or resolved in establishing a strategic approach to a City-wide LIM. Each sub chapter also contains a summary of good practices identified by the authors through their experiences and analyses of City-wide LIM projects. "Travellers, there is no path, paths are made by walking"
The drivers of a programme articulate the reasons why a LIM programme is required. Drivers are non-technical factors that represent the pressures and opportunities for change. In the case of LIM, this is the need to bring potentially disparate projects together, creating an integrated LIM programme to support the delivery of improved City-wide services and to monitor the effectiveness and sustainability of city policies. The growing pressure on city land, due for example to the impact of rural to urban migration, places more demands upon the city to respond in a more effective and co-ordinated manner to urban expansion and development. Without an integrated approach to LIM, resources will be less effectively employed, overall costs will be higher and the delivery of effective land management will be jeopardised. Experiences in responding to environmental disasters have highlighted the need for speedy integration of information from a variety sources in order to plan operations. An integrated approach to LIM enables improved response to disasters, facilitates future monitoring and provides tools to develop future plans and strategies. Minimising tax avoidance and providing evidence of actual collection improves overall confidence in a city administration and encourages greater compliance with taxation demands. City-wide LIM can support land and property based taxation and provide transparency in tax collection. Other cities are, or can be, held up as exemplars of good practice and there is a natural wish to conform to what is regarded as best practice. There is also a need to respond to the advice of professional bodies recommending the adoption of City-wide LIM. Pressure on scarce resources means that resources involved in the city's LIM activities need to be shared to be viable and support wider activities. Donors are increasingly co-ordinating their activities and are insisting upon the creation and utilisation of City-wide LIM. Failure to comply with this strategy may jeopardise donor funding. LIM should not be seen in isolation, but be considered as a component of the wider Information Management strategy adopted by city administrations. 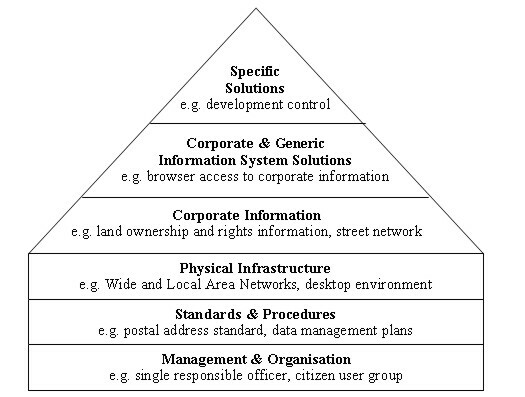 Therefore, the need for a City-wide LIM should be mandated as part of this Information Management strategy. Compliance with national legislation may require certain components of a City-wide LIM to be put in place. There may be additional costs due to the programme management overheads of co-ordination amongst the LIM projects. This may be seen as a deterrent for the early implementation of City-wide LIM. Most projects are designed to be self-sufficient. Integration amongst projects requires resources and objectives to be agreed without compromising the aims or timescales of individual projects. Integration into a City-wide LIM also implies inter-project dependencies, e.g. land information being maintained by one Department on behalf of all LIM stakeholders. In an environment where change in organisational structure, policy and senior management is the norm, this instability can be a deterrent to forming inter-project dependencies. This is a managerial challenge that should not be underestimated. As the number of projects involved in a City-wide LIM increases, the perception may be that there are difficulties and a level of complexity in co-ordinating the programme that may outweigh the benefits. There may be a fear that individual projects will lose their prestige, and independence, if they are amalgamated with other projects within a City-wide LIM programme. Departments who sponsor such LIM projects may resist this programme integration as their esteem will be diminished. In the case of a large capital project, e.g. a dam or major highway construction, that generates land information as a bi-product of its activities, the managers may not understand the significance of adhering to a City-wide LIM. They may therefore ignore what they see as a peripheral issue. In such cases there are no direct project incentives to participate in the City-wide LIM. Under some jurisdictions, legislation may directly prohibit interdepartmental / Agency co-ordination. Many of the drivers for change discussed here will not be effective unless there is a champion or visionary with sufficient professional credibility, energy, enthusiasm and tenacity to sell the benefits of providing a City-wide LIM programme. This person must be able to sell the vision to the appropriate budget holders and promote practical LIM supported solutions to business / political challenges of the city. The results will be faster and more effective if the champion also has legal or authoritative backing from the national government level. Without a Champion and the associated vision, the chances of initiating a successful LIM programme are substantially diminished. The best way to justify the creation of a City-wide LIM is a business feasibility case, driven by dedicated stakeholders and with references to well documented examples. A fundamental factor in successfully implementing a City-wide LIM, both for politicians and the citizen, is the ability to secure access to services, housing and rights to land. This security of access rights is a foundation for investment, taxation, area planning and for the management of city services. Whilst many drivers are generic, there is a need to tailor them and ensure that they are seen as appropriate to local conditions and circumstances. The proposal for initiating and expanding a City-wide LIM must be attractive to the politicians. Therefore, the timing and choice of drivers must be aligned with issues that politicians are currently facing in order to have any chance of attracting the necessary support and funding. The top down drivers for change may not be successful by themselves. The arguments may have to be augmented by practical experiences and successes coming from the partial implementation of a City-wide LIM. The arguments for implementing a City-wide LIM will be only too apparent once there are a significant number of active LIM projects. Standards, guidelines and discipline should not be left to a late stage before being fitted into the operations of existing projects. It is far more effective to implement basic co-ordination at an early stage. The LIM of a city should fit into the corresponding spatial data infrastructure of the country. Certain information needs can best be served from the national level, e.g. data standardisation, small-scale mapping, etc. In the ideal situation there is an Institutional Framework that provides an accepted and well communicated set of arrangements between all stakeholders in land information. This should guide how the data are collected, stored and maintained and exchanged, which set of standards are used, the financial arrangements, etc. Experience suggests that significant benefits and direct cost savings are possible through co-ordinated efforts by the stake-holders. In the context of developing countries the process of defining this institutional framework can be complicated by the presence of donors and consultants from different countries who all have their own perspective and interest. It is very important for there to be an indigenous organisation to take the lead in the design of their national and local spatial data infrastructure. There can also be potential conflicts of interest between national and local needs with respect to land information. Those involved in setting the national spatial data infrastructure should ensure that those elements that impact cities can be implemented in practice. This process may be further complicated by legal barriers, such as restricting the use of data due to copyright. To develop a City-wide LIM strategy it is essential to have the appropriate political and societal support. The implementation of such a strategy will make it necessary to take organisational and financial measures that are not possible without the political will to do so. On the other hand, experiences in many countries show that it is very hard to stimulate politicians to be enthusiastic about LIM strategies. Democratic pressure of interest groups forces them to pay most of their attention to issues that directly affect their constituency. Land, roads, utilities are the political issues, not the City-wide LIM that is needed to manage them effectively. At the LIM stakeholder level, it is much easier to convince the direct customers and users of land information of the need of a good City-wide LIM strategy. On the other hand these stakeholders can have different interests and sometimes have a competitive relationship. Compromise may be necessary. A well designed City-wide LIM strategy reducing redundancies in data capture and maintenance generally increases the complexity of the arrangements. It generates more interdependencies amongst the stakeholders and forces them to share their power. There will be stakeholders that will be uncomfortable with these interdependencies or do not want to share their power. They will have to be convinced that the gains are bigger than their losses. A city should take into account the national and regional environment when developing its own LIM strategy. It should address questions like: what are the national standards? Are the necessary data produced elsewhere? Can the costs of data maintenance be shared? What meta-data do customers expect that are associated with land information? Good practice is when a City-wide LIM programme has support from the top level of the city administration and when it contains a well designed communication strategy to the political and societal communities, convincing them of the mutual interest they have in a well executed land information strategy. The strategy should also be linked to the higher level frameworks, for instance to the regional and national levels. "Good things, when short, are twice as good"
The implementation of City-wide LIM will only be successful if there is: a legal framework established to secure the Intellectual Property Rights of data owners; Data Protection legislation to protect the abuse of information about individuals; an understanding of the national security issues and their impact on access to information; and legislation to allow access to land information within Government and by the citizen. Land information can be maintained at a level that can identify individuals. To safeguard mis-use of this information it is essential that Data Protection legislation is established. This will dictate what information can be held against individuals, enforce aggregation of information where appropriate, and provide mechanisms for individuals to enquire about information held about them. Producers of land information require security of Intellectual Property Rights (IPR) if they are to be persuaded to distribute their land information for City-wide use. A legislative framework for IPR must be established that will minimise illegal use of land information. The use of land information to support participatory democracy at the urban level will only occur if there is appropriate legislation established to open up access and distribute City-wide land information and to provide for access by the citizen. Liability is a significant issue when a variety of data sources are combined and analysed to support decision-making. If the decision is subsequently discovered to be flawed due to the inappropriate quality of the source data, then who is potentially liable? Legislation is required to clarify responsibilities in this scenario. Experience has shown that issues associated with national security, data privacy and associated legal liability for data quality can prevent the effective sharing of data. Some stakeholders within a City-wide LIM may retain the culture that information is power and inhibit any attempt to provide wider access to 'their' information. In many cases legal issues, such as data protection and privacy, are used as excuses to stop the opening up and wider use of information. Although there will be significant benefits for the data producers and service providers, it is recognised that one of the main beneficiaries should be the citizen. Cities should formulate appropriate framework legislation to facilitate access to land information and services by the citizen. Data Protection can in some cases inhibit the use of data for beneficial purposes. This problem can sometimes be resolved by imposing restrictions on rights of access to data. Requirements can be formulated to restrict access to specific datasets or queries to certain predetermined user groups or customers. but possibilities which we have failed to realise"
To facilitate City-wide integrated LIM it is essential that appropriate governance and an associated organisation are established to co-ordinate, regulate, monitor and optimise LIM activities within the city and amongst the city's partners. Responsibility for the governance of City-wide LIM should be established at a high level within the organisation to ensure that LIM guidelines and best practice are adopted across all departmental boundaries. Information Technology / Information Systems specialists. A Design Authority should be established to create, adopt, promote, advise on and monitor the use of LIM standards throughout the city. The Design Authority should also advise on relevant investments in Information Technology to facilitate interoperability and optimise support. Data standards for definitions, formats and quality should be agreed and established to facilitate the exchange and re-use of land information amongst the LIM participants. Where possible, liaison with National and Regional groups should be established to ensure that city standards are compliant with National / International spatial data infrastructures. A key part of the co-ordination of the City-wide LIM activities is to ensure that land information is maintained to an agreed quality level and the maintenance process is optimised. Data Management Plans should be agreed that clearly identify data custodians and clarify roles and responsibilities in data maintenance. Having invested in integrated land information, significant benefits will accrue from the dissemination of this information to support the city's projects and service deliveries that require land information. In addition, ways should be created to allow the community to have easy access to this information. A key responsibility of this LIM governance should be the ongoing promotion of the best practice LIM to ensure that resources continue to be committed to LIM and that new City projects / services are integrated into the City-wide LIM approach. Data within a City-wide LIM will increase rapidly with success. It is therefore necessary to have fast access to all the information available in the City-wide LIM database. This can best be realised through a metadatabase. Especially at the start of introducing LIM based projects / services to cities, the establishment of a LIM co-ordinating body may be seen as an unacceptable overhead, increasing the costs and further stretching the limited resources. The corporate imposition of LIM best practice into the city's departments may cause problems of perceived interference in departmental affairs. The appointment of LIM governance at the wrong level within the organisation may severely reduce the effectiveness of a City-wide LIM approach. Although it is ideal to use national / international standards wherever possible, getting agreement to national land information standards normally takes a considerable amount of time to ratify. Waiting for the appropriate National / International standards arrive may negatively impact local LIM progress. De Facto standards may be an acceptable option in some circumstances. Overall responsibility for delivering the business objectives and benefits of any programme or project must be vested in a single, responsible and visible individual, the Senior Responsible Owner (SRO). There is clear evidence that some government organisations and private sector firms are much better than others at recognising and addressing the need for projects and programmes to have intelligent, active ownership from a single individual. There is also evidence that projects and programmes run into serious problems if there is no owner of the business process to perform this role. While having such an owner is not a guarantee of success, not having one dramatically increases the prospects of failure. As well as providing appropriate land information to support the city's activities, the LIM governance should ensure that the land information required to support the monitoring of city sustainability through performance indicators is adequate. The expected benefits and deliverables from projects are defined during the early project feasibility stage. LIM governance should provide guidelines for the ongoing monitoring and evaluation of projects throughout their lifecycles. This should ensure accountability, early identification of failure and dissemination of lessons learned. Those responsible for LIM governance within the Chief Executives office should provide the necessary empowerment for City-wide LIM to be achieved. The participation of end users of land information in an advisory body in the governance of City-wide LIM should help to define clearer priorities for LIM and establish more practical data quality standards, reducing the overall costs of LIM. The effective use of Design Authorities limits the variation of IT solutions implemented, increases interoperability and significantly reduces the cost of IT maintenance. "The purpose of computing is insight, not numbers"
The acquisition of funding for City-wide LIM programmes that cross departmental boundaries is more difficult and complex to achieve than for individual projects. The programmes can be seen as altruistic, where as in reality they can provide decision-makers with the evidence required to make sounder decisions based upon the wider understanding of material evidence to support urban sustainability. Understanding the arguments to support the investments in this area is essential if an appropriate level of funding is to be secured from donors. There is a need to fully understand and articulate the economic arguments for investment in City-wide LIM programmes. Whilst philosophically the benefits may appear obvious, the economic arguments to support investment are more complex to develop and require the wider economic / social benefits to be understood and accepted on a longer term basis. Programmes may require limited initial financial 'pump priming' get them off the ground. This limited support may provide an interim measure before the possibility of a self generating revenue stream can be created. Many LIM projects are not funded directly. They are financed as part of a wider project of which one component may be the creation of land information products and services. Isolating the land information funding for individual projects, with the aim of diverting the funding into a LIM programme is difficult to achieve and can be met with stiff resistance from individual project fund holders who will see their own financial control being diluted. Incorporating City-wide aspects to new funding initiatives is a way in which Feasibility Studies, incorporating a costs and benefits analysis, can be substantially enhanced. The longer-term benefits of land information integration can be used to show that an holistic approach has been adopted towards the collection and utilisation of data. This practice can show improved economic efficiency and improved co-ordination in City-wide decision making. LIM programmes may show comparatively high start up costs and it is therefore necessary to show that in the longer term there is an appropriate return on the investment. Incremental funding may be appropriate to address the capital costs requirements though in the majority of cases the major issue is the ongoing affordability and provision of revenue costs. Many cost benefit cases are generated by technical experts who use their own form of justification. This can lead to considerable mis-understandings and in some cases the rejection of real benefits because they have not been expressed in correct or generally accepted financial terms. This can severely reduce economic arguments for investment in LIM programmes where longer- term arguments for improved co-ordination and decision-making are rejected as unachievable - because they have not been fully understood. Disjointed / ad hoc funding from a variety of donors can lead to situations where the funding does not link to strategic plans and the arguments for investment are based upon short term goals. Short-term single focused projects lead directly to management decisions being based on immediate needs that are disassociated from wider LIM programme initiatives. This can rapidly restrict 'joined-up' initiatives and the development of a corporate strategy. A variety of donors who provide funding upon certain conditions can make it difficult and complex for city administrations to focus and co-ordinate projects that address the longer term integrated approaches necessary to achieve the benefits that can be realised through 'joined-up' LIM programmes. Arguments for investment in LIM programmes will only succeed in attracting investment if they address real issues. The most successful arguments are those that directly address current political concerns and where it can be shown that a 'joined up' approach offers a greater chance of achieving the objective(s). All investments in LIM programmes need to be vetted against these criteria. The financial and economic arguments used to justify the investment in LIM programmes need to be expressed in conformity with recognised accounting practice. The creation of successful business cases is best achieved in conjunction with financial and economic experts who can express the arguments in appropriate and accepted terms. Where benefits for investment in LIM programmes are expressed in accounting terms and where the arguments for investment focus upon current political concerns the possibility of attracting appropriate funding is greatly enhanced. Experience has shown that the downstream cost of a failure to invest in LIM can be very high. Business cases for investment that clearly expose the costs of not investing in City-wide 'joined-up' LIM can be shown to be more likely to attract appropriate funding. Provision for long term programme funding (maintenance) can be addressed when the programme includes a strategy for cost recovery either through the provision of services or other benefits. The difficulties in attracting and securing long term funding can be by-passed where small / limited initial programmes ('proof of concept initiatives') are focused on a single 'joined-up' objective. These programmes clarify the realisable benefits and clear the way to attract further incremental investment by ensuring that arguments can be more readily substantiated and shown to address real issues. Cost accounting of a City-wide LIM must also include intangible (soft) benefits for the city. For example, the faster arrival of the fire brigade at an incident, due to the use of a City-wide LIM, will potentially reduce the damage of property and hence save money. This constitutes a benefit. "Men despise great projects when they do not feel themselves capable of great success"
City-wide programmes engender specific Human Resource Management issues. The need to manage human resources across a wide range of stakeholders, whilst ensuring staff retention and motivation places significant demands upon departments and agencies when demand for these skills are escalating and global shortages are predicted. The 'Programme Driven' working environment created within City-wide LIM programmes presents cities with the on-going challenge of providing sufficient capacity to resource the programme. It is essential that ongoing capacity building is addressed up front to ensure sustainability of the programme. This will require a combination of internal and external education / training programmes, not just short term technology training. Many City-wide LIM programmes involve the use of consultants to support the cities in planning and implementing LIM. It is essential that cities retain ownership of the LIM programmes, ensuring the appropriate skill transfer is designed into the engagement of the consultants. One option to alleviate problems with capacity within the Public Sector is to involve the Private Sector in City-wide LIM. This will only be possible where the skills and experience of the Private Sector have matured to a level where quality services can be provided and sustained. This should not be perceived as a threat to the Public Sector, especially when true partnerships are formed between the Public and Private sectors to share the risks and the benefits. However, the use of improved managerial skills within the Public Sector plays a crucial role in the success of these partnerships. Learning from the experience of twinned cities can provide evidence of what works in Human Recourse Management. Cultural differences may need to be taken into consideration, but exposure to what other cities have achieved can provide good opportunities to apply best practice. In addition, introduction to best practice through attending conferences, linking to web site information and involvement in professional bodies can avoid making the same mistakes as others. High staff turnover in City-wide LIM is most likely to be caused by the acquisition of new marketable skills and the wish to capitalise on them through entering the Private Sector or as a result of promotion in the Public Sector. Continuous capacity planning is therefore essential since the programme will inevitably need to re-educate new staff and bring new members up to speed. This is frustrating, costly and inevitably delays the programme's ability to deliver. Incentives to retain staff need to be researched and a partnership with the Private Sector considered to augment internal resources. Enthusiastic professionals naturally gravitate toward the best solution. However, in practice, managing reduced expectations may well be both pragmatic, sufficient and more sustainable in the longer term. The appointment of managers who can effectively address this balance between pragmatism and perfection and manage the associated expectation thresholds is essential. The Public Sector in general is very reluctant to face risk and failure. This results in a culture of blame that potentially stifles innovation, creativity and risk taking. The appointment of managers who perpetuate a blame culture increases the risk that the programme will be limited in scope, leading to few tangible benefits. In addition, the opportunities of implementing more innovative solutions, with potentially higher risk, may be lost to the detriment of the city longer term. Traditional Public Sector organisations are often committee based and slow in making certain strategic decisions. A cultural change is required to effect a City-wide LIM strategy involving complex decision making amongst diverse stakeholders. Managerial appointments need to ensure that decisive management skills are available, including appropriate programme methodologies. The implementation of small groups empowered to make and ratify decisions significantly leads to more effective decision making. Working with local consultants presents difficulties where resentment of pay differential is clearly identifiable. Pay levels, incentives and clear lines of roles and responsibilities should be clarified and career paths established to aid staff retention. The development of a policy to ensure the continued availability of appropriately skilled human resources should be created as early as possible in planning a City-wide LIM programme. This is also an opportunity to address gender gap issues. A management approach should be implemented to encourage innovation and creativity. This will involve significant cultural change and can only be achieved if supported, and actively encouraged, by all level of accountable management. The capacity-building framework should not prevent the loss of staff. However, it should provide an environment in which the movement of staff is accepted as inevitable and delays due to shortages and temporary unavailability are minimised. Capacity planning should not just include short-term skill training, but address the issues of persistent, long-term management skills. Where the provision of and access to appropriate Continuing Professional Development (CPD) for staff is fostered and encouraged, cultural change is made easier to implement. Recognition of the need for ongoing training and its provision can reduce staff turnover. To avoid too much focus on local short-term problems, single staff members of cities using City-wide LIM should be seconded for a short term (3 months to 6 months) into the LIM staff of another city. The lessons learnt by those on secondment should then be passed on to the rest of the organisation. "On a clean disk you can seek forever"
- Thomas B. Steel, Jr. The choice of an appropriate technological solution to support City-wide LIM is a key success factor in these programmes. The technology must be easy to use, facilitate interoperability amongst the stakeholders and be sustainable over its lifecycle. Successful LIM programmes are only successful if driven by business requirements that are developed with full participation of the business. Business requirements are fundamental to the specification and accountability of the City-wide LIM solutions. There is a difficulty in delivering urgent short-term solutions whilst still retaining options for scaleability and interoperability which are the longer-term requirements in City-wide LIM programmes. The most attractive prices and the most appropriate technology for City-wide LIM are achieved through a competitive tendering process. This allows different technical solutions to be compared and competition will ensure value for money. The temptation of 'special deals' must be balanced against the sustainability of the solution and downstream revenue costs of operating the solution. The use of proprietary solutions will rarely integrate to support a City-wide LIM approach. It is essential that the city agrees technology and data standards at an early stage in developing Information Systems Information Management and Information Technology strategies. These standards should be National and International wherever possible. An Information Systems strategy should ensure that a number of business solutions are delivered at an early stage. These 'quick wins' will ensure that the City-wide LIM programme continues to receive political support. On-going technical support through the lifecycle of the programme is critical. The Information Systems solutions must include excellent technical support, locally if possible. Provision must be made in the budget for on going revenue costs associated with the technology and staff resources. There is no 'off the shelf' or 'out of the box' solution to support City-wide LIM. Each implementation will require a degree of customisation of existing commercial software packages. If this customisation is too high then it will lead to problems of delivery and downstream maintenance. Wherever possible, cities should use well-known commercially available packages even where there may only be an 80% fit to the original business requirements. This will significantly reduce the risk associated with the programme. There are high market demands for good IT skills. Training internal staff in IT skills required to support City-wide LIM will inevitably cause problems with staff retention since when they become skilled they may wish to join the Private Sector. Alternative approaches involving outsourcing of IT services to support the City-wide LIM may reduce this risk. In situations where there is insufficient support from senior Management, there is a tendency for City-wide LIM to be led by those involved directly in technology. This leads to a technology driven programme rather than one driven by business needs. A technology led approach will rarely deliver business expectations. The best technical solution is useless without an appropriate level of technical support. Small technical problems can bring a project to a halt unless expedient solutions are provided by technical support. Technical support, including new product releases, normally cost between 10% and 25% of the original capital costs of the software. The end user community must feel comfortable using the technical solutions. This will only happen if there is adequate end user participation in design, effective and timely end user training and the solutions are designed to be easy to use. If City-wide LIM programmes are too complex and ambitious, especially at their outset, then there is a high risk of failure. It is important to design realistic objectives that match resources and timeframes and deliver these in incremental steps. City-wide LIM programmes should not be technology led. It is essential that the business / end users are involved throughout the lifecycle of the Information System. One of the most important activities is developing the business requirements that describe the expectations of the business. The incremental delivery of Information Systems is advantageous in that it makes it possible to: deliver early solutions; gain early feedback from the business; recover from mistakes quickly; and support greater flexibility in rolling out the long term solution. The use of design and implementation methodologies for Information Systems that include Rapid Application Development / Fast Prototyping provide the business with an opportunity to clarify their business requirements prior to large development costs. An example is the Dynamic System Design Methodology (DSDM). The use of recognised accounting procedures to secure the revenue budgets is essential to ensure that the technology can be sustained in the longer-term. Contracts between cities and companies that deliver and support hardware and software should be concluded on a partnership basis, with both parties assuming elements of the risk. This will ensure that the supplier(s) is committed to the long-term success of City-wide LIM. it is what a man does with what happens to him"
This section draws together the major threads of "Best Practice Guidelines" for Land and Information Management for Sustainable Cities and provides a set of conclusions that should be considered as Key Success Factors when introducing a City-wide LIM. There are few really good examples of comprehensive City-wide LIM across the globe from which to draw evidence and to test the conclusions of this document. However, it would be incorrect to infer that the conclusions are invalid. On the contrary, they have been drawn up from extensive practical experience and will provide a major contribution to the sustainable development of cities. FIG holds the conviction that good decision-making for sustainable development of cities is dependent upon reliable, relevant information that to a large extent is geographically referenced. More effective City-wide LIM supports decisions that lead to more sustainable development. Land is a key resource for humankind and to manage land effectively, it is imperative that we find radical and innovative ways to improve the way in which we collect, manage and use information about this crucial resource. Large ambitious LIM projects carry a significant risk of failing to meet some or all of their goals. This does not negate the need for an holistic approach to the development of a City-wide LIM; rather it emphasises that best practice is about ensuring there is a corporate, strategic vision and pragmatically and logically working towards its implementation. There is no single formula for the implementation of a City-wide LIM and each country, each city, has its own unique problems that need to be addressed, taking into consideration local and cultural circumstances. What is possible however, is to learn from the experience of others and so avoid repeating the same mistakes. Due primarily to lack of knowledge on the part of city management, LIM projects are normally uncoordinated and technology led without the support of strategic frameworks or integration with aid programmes. To more effectively support decision making at the highest level, there must be a corporate vision of how a City-wide LIM can effectively support the integration of aid programmes and investment in the planning and delivery of services. There is a clear need to identify and support the particular drivers for LIM within a city. Many drivers are generic, though there is a need to tailor them to local circumstances and conditions. The resulting LIM can be used to monitor the effectiveness and sustainability of city policies. The timing and choice of drivers must be aligned with current political issues to have any chance of attracting support and funding. The introduction of successful LIM is associated with a champion or visionary with the professional drive, enthusiasm and tenacity to sell the benefits of a City-wide LIM programme. Without a champion the chances of initiating a successful LIM are substantially limited. The LIM of a city should fit into the national spatial data infrastructure where one exists. Certain information can best be provided at the national level and this should be clearly identified to avoid duplication of data collection and wasting valuable human resources. The use of land information must be encouraged and developed within the current legislative framework pertaining to each country. Cities are encouraged to formulate and, if necessary, seek to amend legislation to facilitate appropriate access to land information and services by the citizen. Good governance of LIM should be established at the highest level to ensure empowerment to impose LIM guidelines and best practice across departmental boundaries. The financial and economic arguments for investment in LIM are only successful if they address real and current issues that are of political concern. These are best presented in the language of financiers because some of the more abstract concepts of LIM are usually not spelt out in financial terms. The consequences of not investing in LIM should be set out and emphasis placed upon how the benefits of a joined up City-wide LIM approach are more likely to attract appropriate funding. Finally, harnessing the power of LIM is not always easy. It can be complex and challenging. However, the ultimate benefits associated with the introduction of LIM in terms of the effective and efficient utilisation of human and physical resources means that they are well worth striving for. Bringing together the UN-HABITAT Best Practices Database and the FIG "Best Practice Guidelines" provides cities with a valuable resource from which to draw upon. These sources provide complementary information at several levels to support those that face the challenge of providing comprehensive and sustainable use of land within the urban environment. "Mans mind, stretched to a new idea never goes back to its original dimension"
The development of national spatial data infrastructure initiatives should take into consideration the needs of City-wide LIM to avoid duplication of data collection and the waste of valuable human resources and establish a 'vertical information highway' from local to national levels. Local city managers should be encouraged to use the FIG "Best Practice Guidelines" and promote the use of LIM to the highest political and decision making level to enable a corporate, strategic vision of how City-wide LIM can effectively support the integration of aid programmes and investment in the planning and delivery of services. Burrough, Peter A.; McDonnel, R.A.: Principles of Geographical Information Systems. Oxford University Press. 1998. ISBN 0198233655. Chen, Y.Q. ; Lee, Yuk-Cheung, 2000: Geographical Data Acquisition. Springer-Verlag Wien. ISBN 3211834729. Heywood, I.; Cornelius, S.; Carver, S. 1998: An Introduction to Geographical Information Systems. Adison Wesley Longman Limited. ISBN 0582089409. Huxhold, W.E. 1991: An Introduction to Urban Geographic Information Systems. Oxford University Press. ISBN 0195065344. Longley, P.A. ; Goodchild, M.F. Maguire D.J. ; Rhind, D.W. 2001: Geographic Information Systems and Science. Wiley Publishers. ISBN 0471495212. Stillwell, J.; Geertman, S.; Openshaw, S., 1999: Geographical Information and Planning (Advance in Spatial Science). Springer Verlag. ISBN 3540659021. Young A., 1998: Land Resources - now and for the future. Cambridge University Press. Cambridge. ISBN 521590035. Transactions in International Land Management. Vol.1-4. International Land Management Series 2000-2002: Edited by Robert W. Dixon-Gough and Reinfried Mansberger. Ashgate. Aldershot. ISBN 0754613046, ISBN 075467831, ISBN 075461784x. Competitive Tendering This is a process for bidding for tenders in an open and transparent manner to ensure that no firm has unfair advantage over another. The whole process is auditable for fairness and lack collusion. The aim is to attract the best and most economic bid from the market place. Core Data Data that are essential/fundamental to the effective operation of a software application. Corporate Information Information that by its nature is important to more than one department within an organisation the use of which is of direct benefit to departments other than the owner / maintainer. De facto Standards that exist through common usage. Design Authority The Design Authority for a computer system is responsible for the preparation and maintenance and integrity of a system and subsystem design together with post design services. FIG Agenda 21 In 2001 the FIG General Assembly adopted the proposal "FIG Agenda 21 - Agenda for implementing the concept for Sustainable Development in the activities of the International Federation of Surveyors and its member associations". The main findings call attention to the fact that promotion of Sustainable Development demands formulation of a Spatial Data Infrastructure. GIS Geographic Information System. A system for capturing, storing, checking, manipulating, analysing and displaying data which are referenced to the earth. Intangible Benefits Benefits produced by an investment which are not immediately obvious and/or measurable. Intellectual Property Rights (IPR) The legal rights encompass four separate and distinct types of intangible property, patents, trademarks, copyrights and trade secrets, collectively referred to as Intellectual Property Rights. The owner has the right to prevent the unauthorised use or sale of the property. Meta Data Information about other information. A high level reference to information held. NSDI National Spatial Data Infrastructure. Partnership A relationship that exists between two or more companies to undertake business with a view to profit, or between a private company and a public sector agency. Proof on Concept A computer application or suite of programmes written quickly to prove that the concepts of an application could work in practice if fully developed. This may also be used to demonstrate the potential of an application prior to the commitment of large sums of money for development. Proprietary Solutions A computer application that can not be easily used by others, either because it has been written in a non standard language, uses software that is not open for general use or uses a non standard hardware or software. Prototyping The use of design and implementation methodologies for Information Systems that include Rapid Application Development / Fast Prototyping providing the business with an opportunity to clarify their business requirements prior to large development costs. An example is the Dynamic System Design Methodology (DSDM). Pump Priming The provision of monies to support developments that would otherwise not attract funding in the first instance. Scaleability The ability to use the same software on a range of different computers. Stakeholders Organisations, companies or individuals that have an interest financial or otherwise in a particular development.